Businesses with strong, consistent, well managed brands have higher market valuations than their competitors. But building brand value and your brand as an asset involves much more than developing a great looking visual identity. Brand building is all about managing the customer experience whether that is through your products, packaging, price, advertising communications, website, email marketing or even your sales personnel. Each time a customer interacts with your brand, that experience defines who you are, how you operate, and how you’re different from your competitors. This is hard to achieve without a digital asset management system to centralise your marketing and brand assets, brand communication, governance, education and operations. . The notion of a company having a Big Idea – a story behind why it exists and how this matters – is increasingly important. Consumers don’t just want products. They want to connect on an emotional and ethical level. People always look for ways to belong, and brands are increasingly important in playing this role. But you have to get it right internally before you can get it right externally. Does everyone within your business understand why you exist and what the brand means and are they expressing that in everything they do? Do they know where to find your brand stories, positioning and reason for existing? Creating online brand guidelines in your digital asset management system reinforces why and how your users should utilise the assets they are downloading and strengthens brand consistency. It is not just the brand manager who is responsible for brand and messaging in a successful company. Everyone involved in building the business is producing external communications from sales, marketing, PR, corporate communications, even HR, production, accounts, indeed every department. That’s why it is important everyone has access to your brand positioning documents, and guidelines as well as the right logos, images, videos, templates, images in your digital asset management system. When everyone is using the same material all communication reinforces the same core points. Pull your brand in the right direction and you increase brand consistency. As I have pointed out in points 1 and 2 above. It is equally important for communications and marketing departments to understand how to express a brand and its messages as it is for every employee, supplier and external agency employed. With technologies like brand management software, it is becoming easier to control brand consistency. When the brand, its assets, and everything associated with communicating its meaning is available to those responsible for building that brand, seamless communication is possible, whoever is doing it. Take our client Dr. Martens as an example. 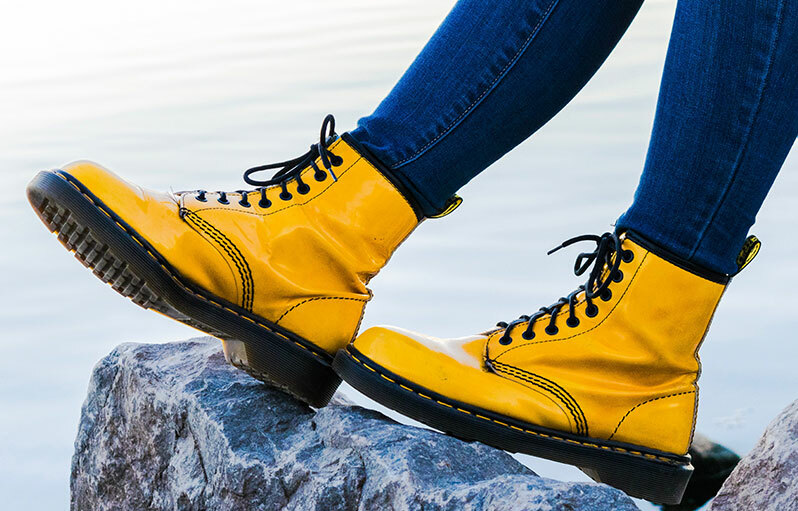 Its customers understand what it stands for and buy into it because robust brand management is one of Dr. Martens many strengths and has resulted in it becoming one the most loved and iconic British brands. Why? Because the brand is the same every time its customers interact with it, wherever that is. Messaging, imagery, identity, brand values – they are consistent wherever and whenever you see the brand; nothing is left to chance. Everything is controlled by Dr. Martens’ brand management team and their agency partners through their brand management platform, The Hub.